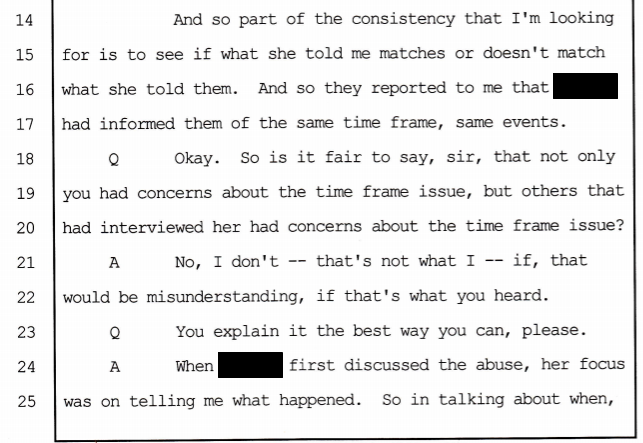 These clips are from the testimony of the expert psychologist on the county payroll for CPS to the tune of $185K+ per year as part of a hearing in the Jon Massey case. This hearing took place on July 8, 2012 and concluded on July 11, 2012. 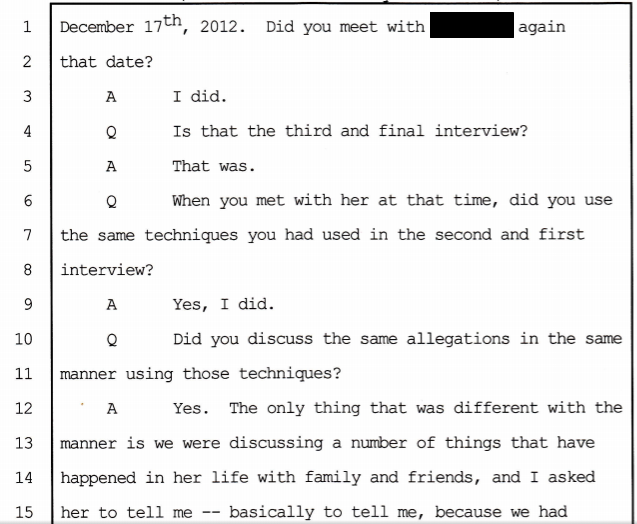 From July 2012 through July 2013, Ruby continuously reported that the alleged abuse took place during "2010-2011", "last year", and "when I was in 8th grade". On July 15, the District Attorney sent a letter to the judge, claiming that a mistake was made, based on Ruby's claims that "nobody had ever asked her" about the dates and events. 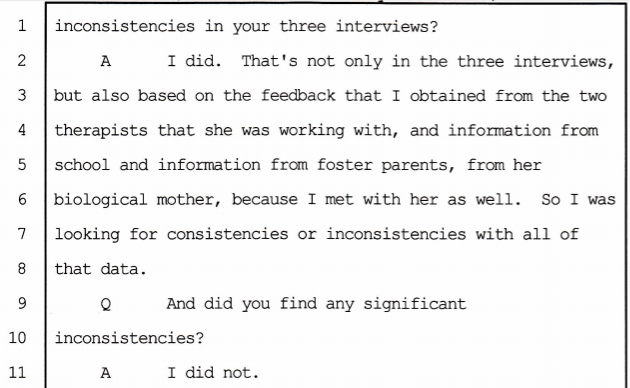 This testimony is combined with the documented evidence we have regarding the number of times that Ruby was interviewed - Numbers Don't Lie! Amazing how a story can suddenly change by a whole year (when Ruby was in a completely different school, different mode of transportation to and from school, different friends and teachers) and yet the DA and the judge saw nothing wrong! At this point, no comment is really needed, is it?